30th Annual Event! Fish fry, prize drawing and live music by Dutch Treat. The menu includes fried catfish, potato salad, cole slaw, pinto beans, trimmings, desserts and drinks. 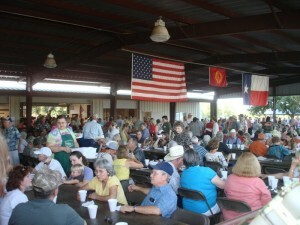 At the Doss Community Center located at the intersection of Ranch Roads 648 and 783 in Doss, Texas. Serving begins at 4:30 pm. Meal is by donation only.